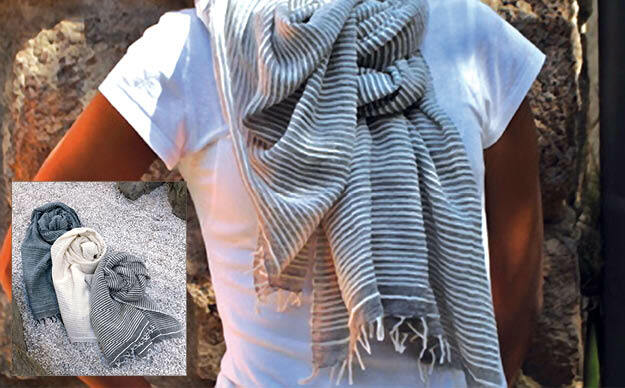 A simple and elegant style, the Judith wrap is made with hand spun, 100% Ethiopian cotton in just the right colors and weight to wear year round as a full, abundant scarf or nicely sized wrap. Hand made of a heavier weight cotton, the Judith remains a top-seller. Our scarves/wraps are all hand washable.